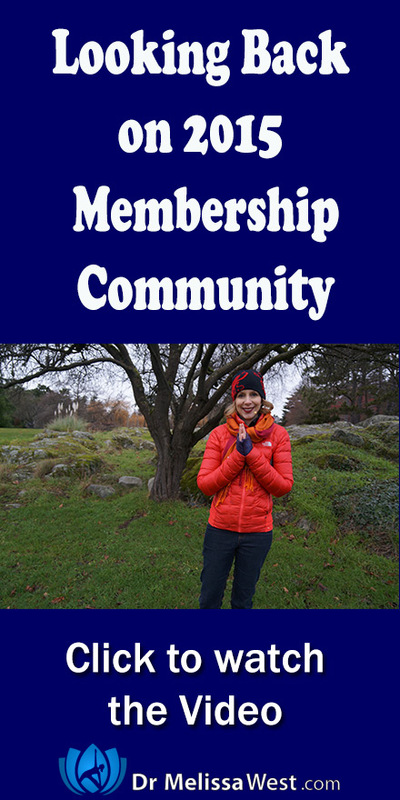 It’s that time of year when we can reflect back and see what stood out to us as a community and the way we came together as a community is definitely what stands out to me and when I asked you this past year for our membership community. Many of you spoke about our yoga buddy system which we initiated in 2015. There are two different kinds of buddies. One is a support system for new members coming into our community. If you are feeling lost, confused or overwhelmed when you come in we will pair you up with somebody who can show you around. And then if you want somebody to check in regularly with your yoga practice, we have a yoga buddy system for that as well. I know myself and several others in the community have experienced a deepening of their spiritual practice and some incredibly nurturing friendships because of the yoga buddy system. Along the lines of getting to know each other better were the Just Like Me Interviews. I interviewed several of our most active members and released those interviews into our community. Many of you commented on how that was a wonderful way for you to get to know each other, your stories and how you live your yoga. I love doing these interviews and look forward to regularly scheduling more in 2016. Along those lines I interviewed several of you privately as well to find out your greatest challenges and aspirations. We laughed and cried together in these interviews and from what I learned in our conversations about our needs, II have a much better idea of the direction our membership will be heading in the new year. We opened ourselves up creatively. There was a thread that started at the beginning of the year with mandalas that became more and more populate throughout the year. There was more and more sharing of our creative ventures and artistic expressions. These eventually made it mainstream into our weekly challenges as we found the intersection between our creativity and our yoga practices. There was a lot of learning about posting photos on the membership site so that you could share all your creative expressions. We started coming together as a community once a month with our Monthly Motivation Meetups. These have been a great way to cover topics that are important to us once a month. Sometimes we go deeper with a Namaste Yoga series, or cover a topic that has been coming up on the forum. Mostly we enjoy coming together as a community and talking about our practice and how our past month has been. It is great to have that regular check in. We also expanded and solidified the weekly challenges this year. Thanks to the leadership of Ulrika and Hannah the weekly challenges have probably become one of the most important areas of our membership community. They provide an important focus for our community each week and take away the choice of what to practice each day with short practices for the week days and longer practices for the weekends. And it is all chosen and done for you and laid out in a way that is easy to do. Thanks so much Ulrika and Hannah. This was the year that we started the Postures and Pranayama section. This section has the leading edge research and teaching that sets our community apart from the content that appears in Namaste Yoga. This is the value added content that I save for our members. Here there is the connective tissue practices, the brain yoga, the traditional chinese medicine, acupressure, meridians, ayurveda, mythology, and yoga philosophy. This section goes deep. In fact this section goes so deep we started and then we had to back up and do an FAQ section where we answered all the questions that came up. As far as classes we started with knee to chest pose, square breath, four movements of your neck, gyan mudra, savasana, and hamstring rescue. We quietly released some of my old videos, in fact many of you probably didn’t even notice. We released the prenatal yoga videos, and resurrected the yoga for labour preparation class. We made the yoga for knee arthritis video available in the membership community. On Monday December 28th we will be re-releasing my first ever yoga video: Lengthen the Spine through Breath and Gravity, filmed nearly eight years ago now. After over four years as a community and time communicating with many of you both in person via skype and via written correspondence I chose to rewrite the rules. The landscape of social media has become even more pervasive over the last four years and it is important for us to realize that although our community is online that we are different in many important ways from other social media platforms. Finally, we took some of the best excerpts from Namaste Yoga – the bowing kriya, the spiritual ecology connecting the 5 elements of nature to your internal environment and made them guided meditations in our community. It was a great year and I’m looking forward to 2016. I would love to hear from you our members. What was your highlight? If you’re not a member, what sounds most interesting to you?